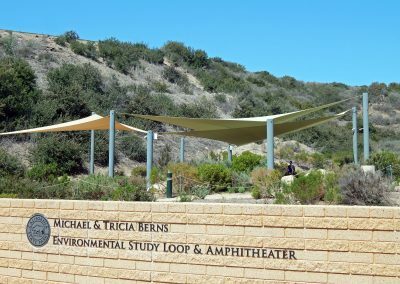 The Michael and Tricia Berns Environmental Study Loop is a unique, innovative facility that engages visitors in the science of park management and conservation. 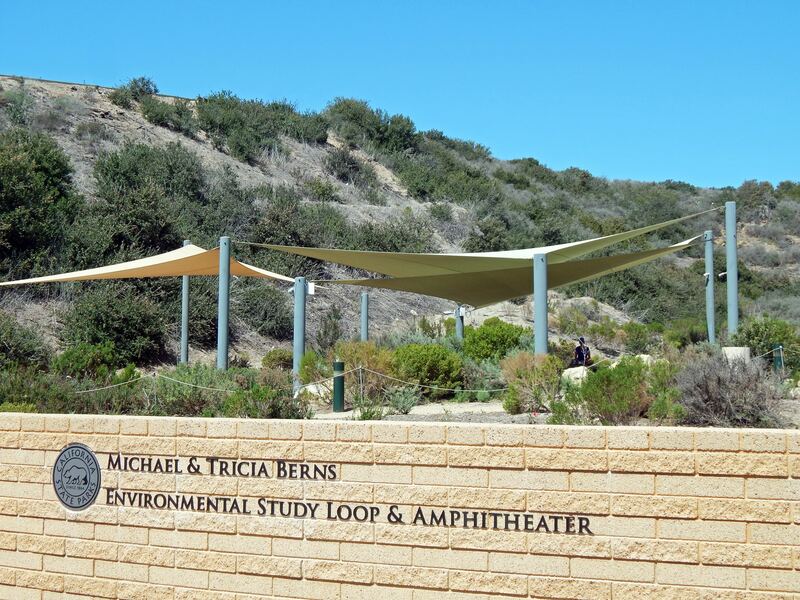 Made possible by a gift from Michael and Tricia Berns, it consists of an amphitheater, a student staging pavilion, and a half-mile ADA-accessible loop trail with eight science field stations where visitors can perform valuable and educational “citizen science” endeavors. 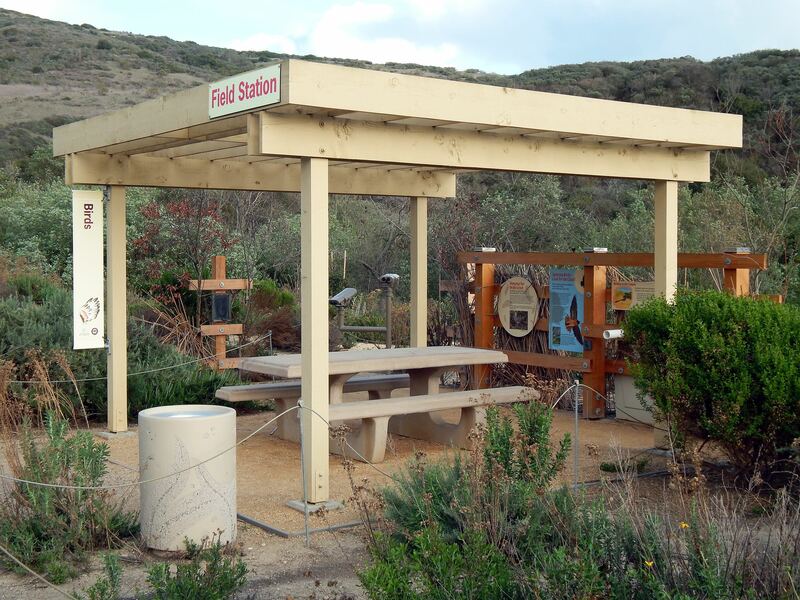 Many of the animals who call Moro Canyon home don’t like to come out when people are around – but at the Animal Tracking Field Station, park scientists can look for the evidence that they leave behind. Footprints in the three tracking pits or images captured on a trap camera can provide clues to the animal activity taking place in Moro after dark. 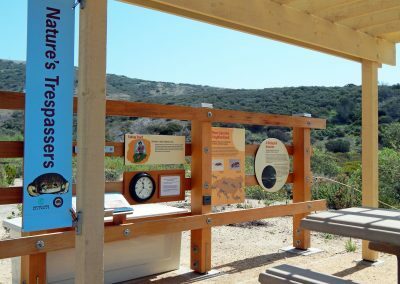 Now that the canyon‘s coastal sage scrub habitat is restored, the bugs, butterflies, and wildlife that make up an ecosystem are returning. Healthy ecosystems have hundreds of important relationships between insects and plants. 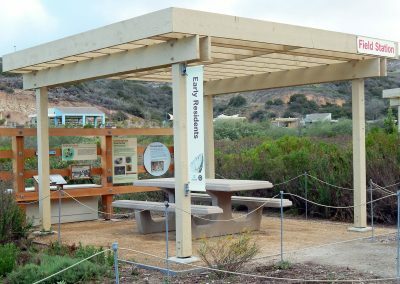 By noting the presence or absence of insects on plants, our scientists and park managers can evaluate the health of Moro Canyon’s ecosystem. 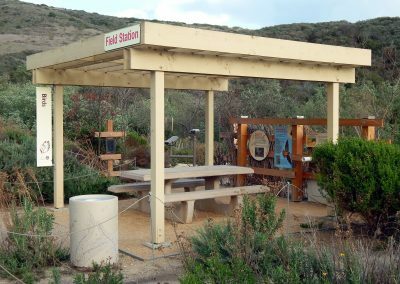 Lower Moro Canyon reopened in 2011 after restoration. 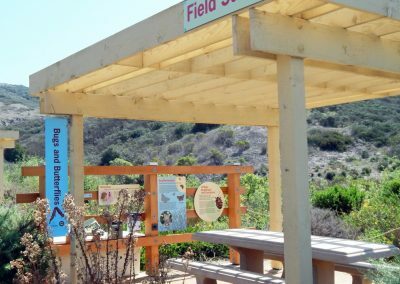 Both the canyon and the park’s backcountry beyond are important habitat for Orange County’s birds. 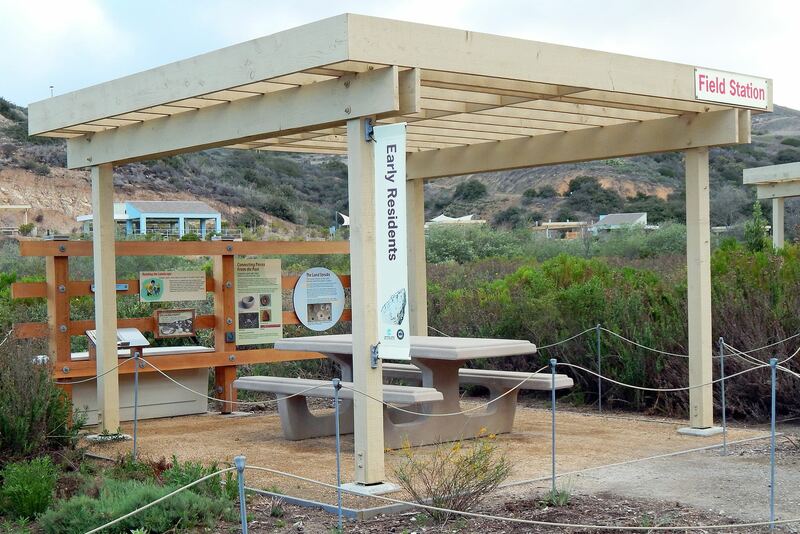 Now a healthier ecosystem, Moro Canyon is attracting increased numbers of birds. 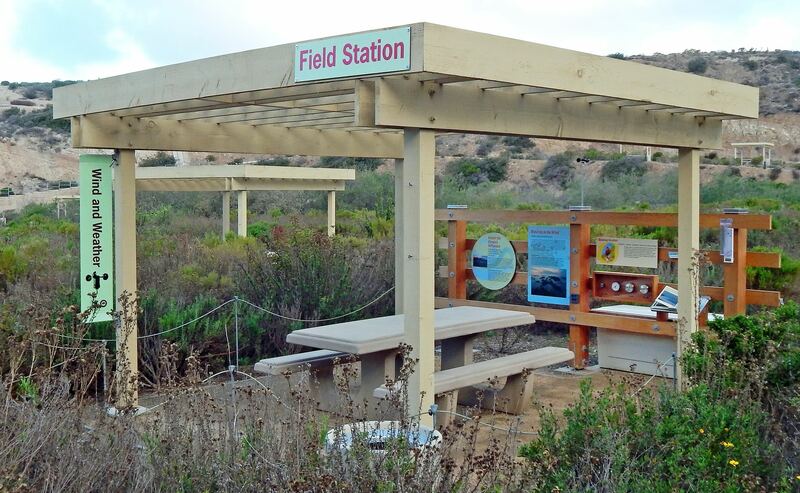 Scientists eventually expect to see over 100 species here! These significant and sometimes rare birds help pollinate plants and control a wide variety of animals, such as insects. As we monitor restoration of Moro Canyon’s ecosystem, subtle changes in weather associated with global climate change might influence decisions by park managers. With warmer or drier conditions, for example, they might choose to modify the native plants they reintroduce. 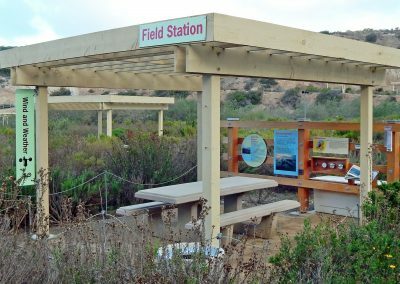 Data on subtle changes in wind and weather can also inform policies for managing fire, invasive species, and recreation. 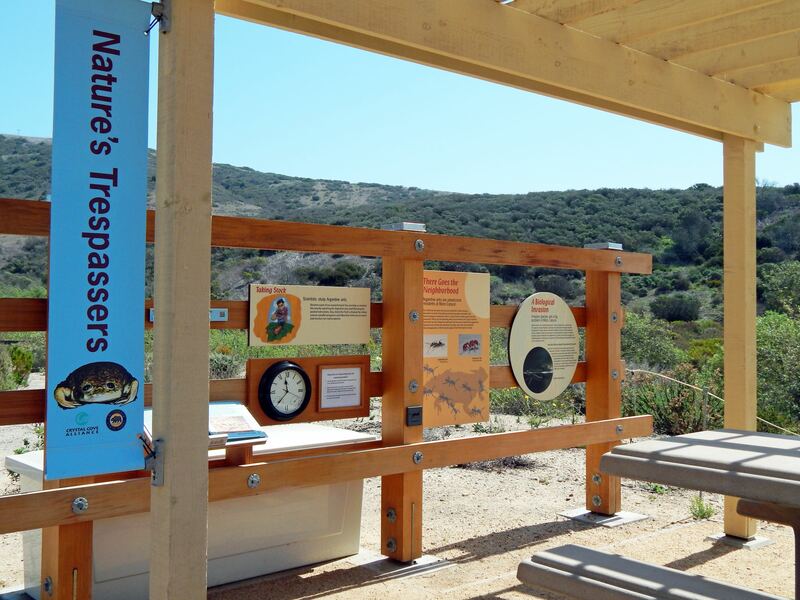 Archaeologists have documented over 40 prehistoric sites at Crystal Cove State Park. This count includes settlements, camps, rock shelters and shell middens. 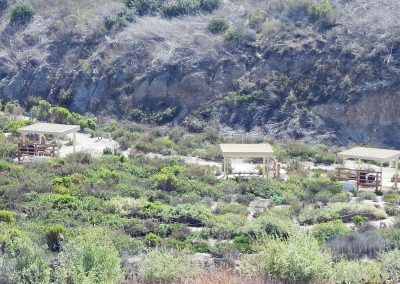 These irreplaceable sites are culturally, historically and scientifically important to the Acjachemen, archaeologists and the preservation and understanding of our region’s cultural heritage. This station is positioned adjacent to a midden. Studying the slow movement of cliffs helps scientists and park managers better manage visitor safety, recreational activities, and protection of natural and cultural resources. Erosion of rock material from these cliffs creates a frequent need to clear roads and trails. Erosion of silt throughout lower Moro Canyon causes challenges for watershed management. 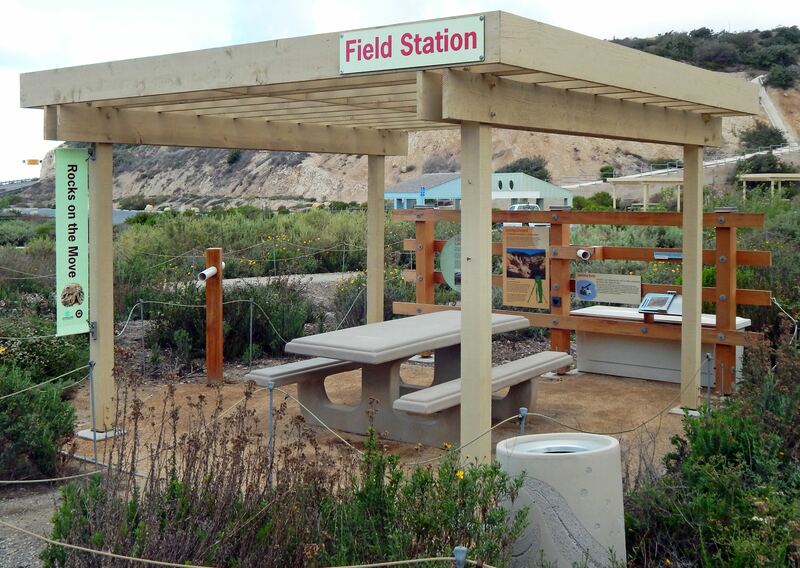 What used to be a developed mobile home park in Moro Canyon has now become 35 acres of restored habitat. 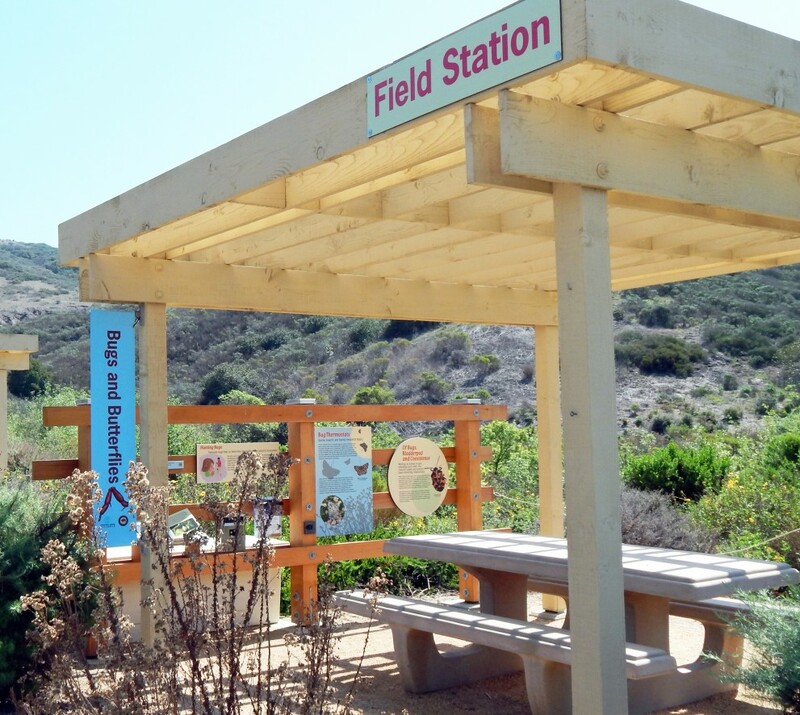 Scientists and park managers planted thousands of native plants to rebuild a healthy community of diverse plants, insects, reptiles, birds, and mammals. As the ecosystem recovers, however, over 80 invasive species threaten that biodiversity and park staff works diligently to monitor and remove many species of invasive plants.